Peter Engel knew what he wanted at a young age. After his first encounter with a television set, he just knew. 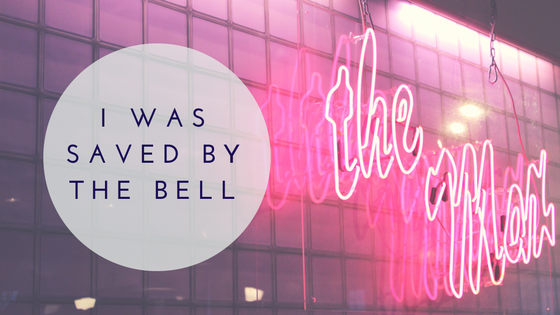 I Was Saved By The Bell: Stories of Life, Love and Dreams That Do Come True chronicles Engel's journey from that first television encounter to his marriages to his rise in show business and much more. With each story more intriguing than the last, it’s easy to figure out why he gained as much success as he did. He never kept a journal or really wrote much down in the way of a daily diary but that never mattered because he was a storyteller. When the time came to write down these stories, it was far from difficult to reconstruct them. “I had been working on it for five years,” Engel said of his memoir, “and when Fallon did the reunion, they used my credit at the end and I just knew it was time.” The reunion he’s talking about is the skit on The Tonight Show with Jimmy Fallon featuring the cast of iconic TV sitcom Saved by the Bell. Peter developed the show and was Executive Producer during its run from 1989-1993 as well as its spin-off series and TV movies. The skit aired in early 2015 and “couldn’t have been written any better” according to Engel . 35 million views on YouTube later, the Fallon skit was a success and the perfect lead-in for Engel's stories. The willingness to share these stories was an unexpected gift and is a real treat to anyone who dives into it. And to think it all started with a television showing up in his dining room.